The Bay of Islands is an area in the Northland Region of the North Island of New Zealand. It is one of the most popular fishing, sailing and tourist destinations in the country, and has been renowned internationally for its big-game fishing since American author Zane Grey publicised it in the 1930s. The first European to visit the area was Captain Cook, who named the region in 1769. The Bay of Islands was the first area in New Zealand to be settled by Europeans. Whalers arrived towards the end of the 18th century, while the first missionaries settled in 1814. 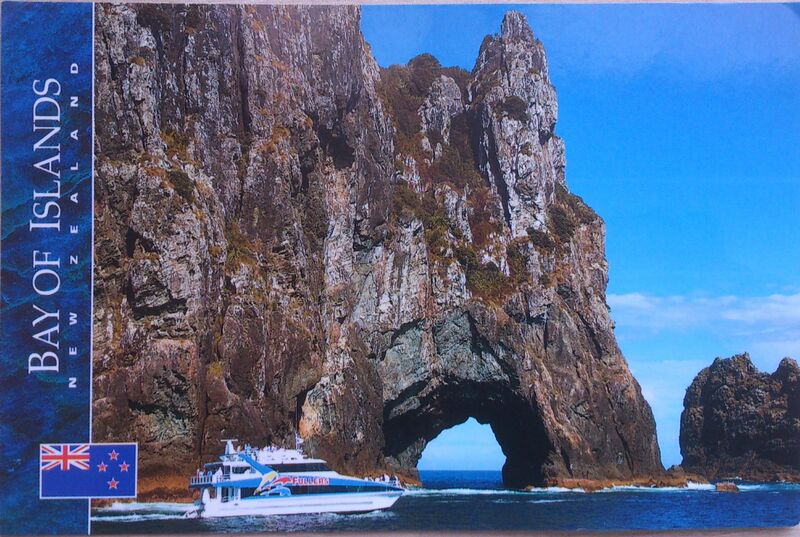 The bay has many interesting historic towns including Paihia, Russell, Waitangi and Kerikeri. Russell, formerly known as Kororareka, was the first permanent European settlement in New Zealand, and dates from the early 19th century. Kerikeri contains many historic sites from the earliest European colonial settlement in the country. These include the Mission House, also called Kemp House, which is the oldest wooden structure still standing in New Zealand. The Stone Store, a former storehouse, is the oldest stone building in New Zealand, construction having begun on 19 April 1832. In a 2006 study, the Bay of Islands was found to have the second bluest sky in the world, after Rio de Janeiro. 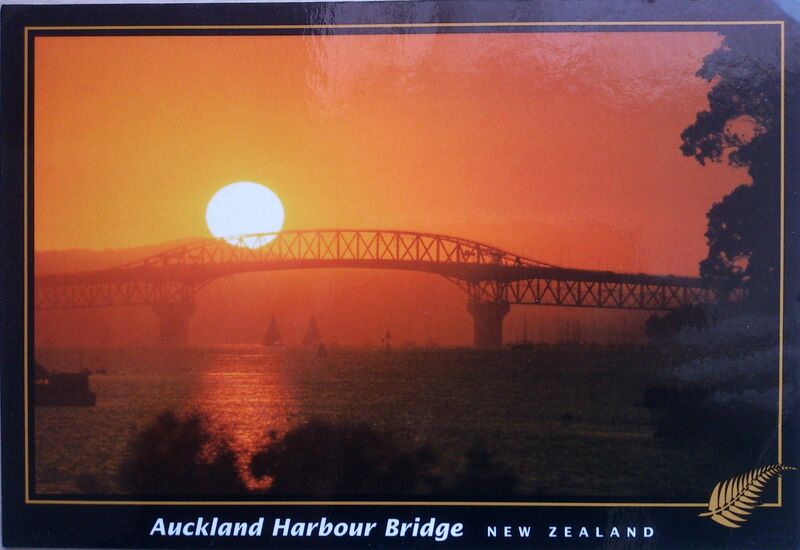 The Auckland Harbour Bridge is an eight-lane box truss motorway bridge over the Waitemata Harbour, joining St Marys Bay in Auckland with Northcote in the former North Shore City, New Zealand. It is 1,020 m (3,348 ft) long, with a main span of 243.8 m, rising 43.27 m above high water. While often considered an Auckland icon there has been criticism, ranging from the nickname of ‘coathanger’ due to its shape to complaints that it mimics the Sydney Harbour Bridge in copyist fashion. Many see the construction of the bridge without walking, cycling and rail facilities as a big oversight.